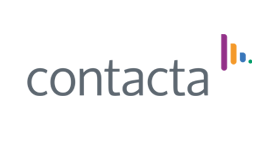 At Contacta we have over 40 years’ experience providing quality systems to organisations across the globe, enabling service providers to interact easily with every customer. Speech transfer systems – Used to aid and improve communication through obstacles such as a glass screen, this system guarantees the best communication experience for both customers and staff. Hearing loop systems – Installed to improve your accessibility to those with hearing loss, thus building brand loyalty and encouraging repeat business. Q-Control – An audio-visual system used to direct customers to the correct position, for efficient queue management. We have a dedicated in-house design team that strive to constantly improve and update our products, ensuring they are of the upmost quality. This offers you peace of mind that your system is working perfectly.